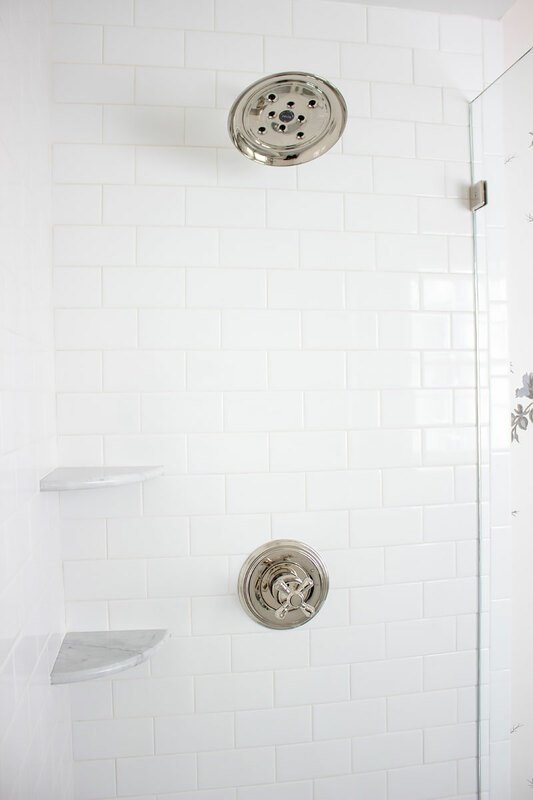 By far my favorite and most anticipated room in our renovation - the guest bathroom!! I’m so excited to share our guest bathroom renovation with you guys, and even more excited that we now have a bathroom on the first floor. 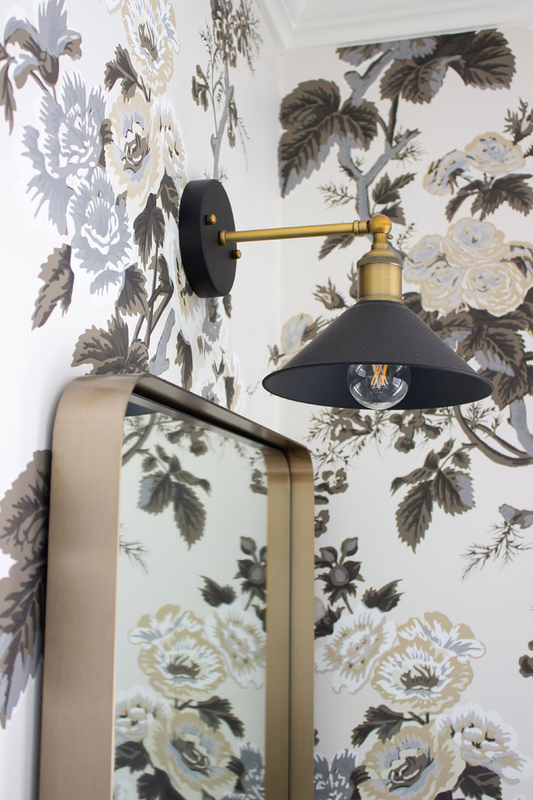 They say that small rooms are the most fun to decorate…a smaller space can mean more bold design choices and in my case, it meant bold wallpaper. I choose this Hollyhock print after a lot of debate and a few other options. I am super happy I chose this one. 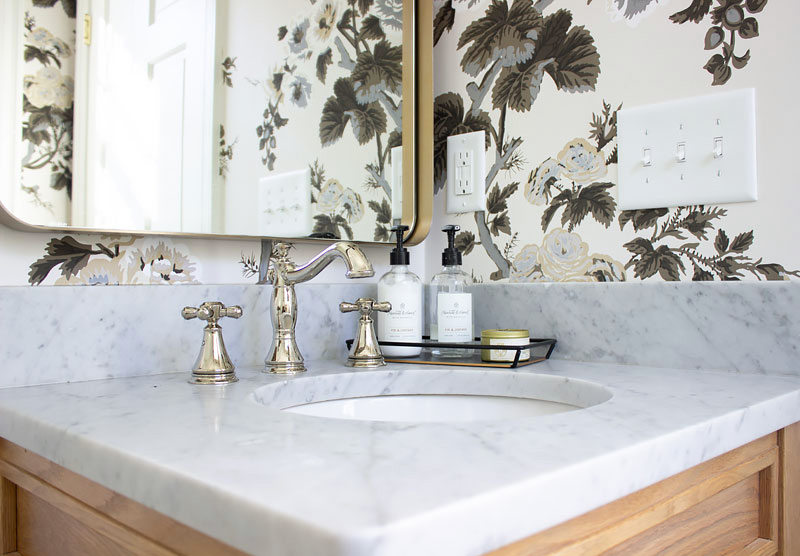 The floral is bold and fun yet neutral and ultimately classic. For the vanity, I had originally planned for a console sink but an issue with the piping made that a no go. 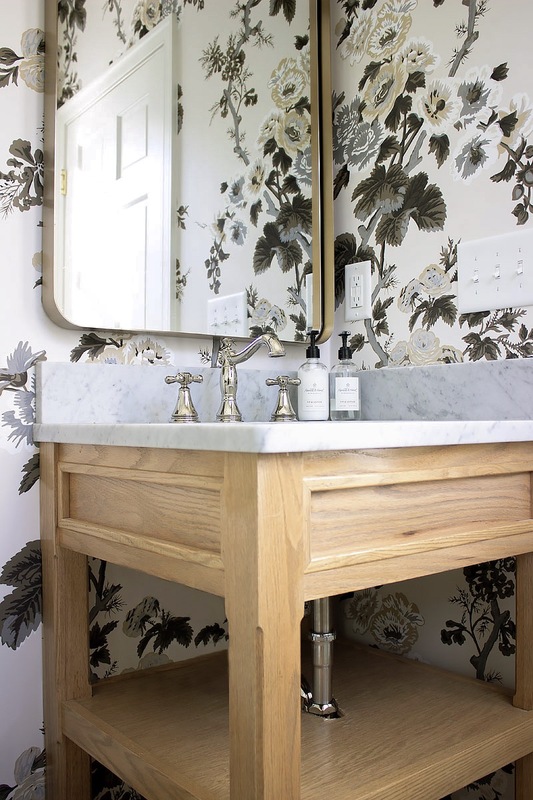 This vanity was custom made for our small space at the last minute after another vanity I loved at Restoration Hardware was too large. For the floor, I knew I wanted marble hex, but couldn’t really find what I liked at Floor & Decor or what was in my budget at the local tiles shops. I came across an online company, The Builder Depot, that happens to be based in Atlanta. I was lucky to partner with them on the marble floor and was super impressed by their selection and customer service. Their 3” marble hex is absolutely beautiful and fairly priced. For the decorative details, I was in a major time crunch and ended up finding both the mirror and the light fixture on Amazon. I am happy with both and still shocked that light fixture was under $40!! Catch up on our full home renovation here.